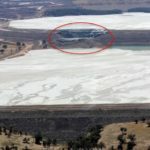 Newcrest Mining’s plan to use the old Cadia Hill open pit as an alternate tailings location following the dam breach that suspended the New South Wales gold mine last month has been given the green light. The gold miner has received approval from the NSW Government to use the first 200m of the Cadia Hill open pit as a tailings facility. Newcrest has been evaluating alternate locations since a limited breakthrough of material was identified at Cadia’s northern tailings dam embankment on March 9. The company expects to start using the open pit for tailings from the first week of May, and is currently installing pipeline infrastructure to execute the move. 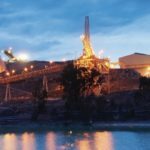 Newcrest believes the Cadia Hill open pit, along with the mine’s Southern tailings facility, will create sufficient storage capacity to allow the operation to return to full production rates for around 16 months. “In this period, Newcrest will look to define and commence the optimal repair solution for the Northern tailings facility, while simultaneously working on permitting the remaining 300m of the Cadia Hill open pit for tailings storage,” the miner said in an ASX announcement. 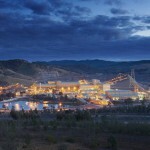 Newcrest restarted mining from the Cadia East underground mine in late March. It then resumed processing at the site in early April. The company’s production guidance for Cadia will be updated this week when its March quarterly report is released. “As a result of using the Cadia Hill open pit as a tailings storage facility, it is likely, subject to further study, that the existing ore reserve containing approximately 1.5Moz gold and 0.13Mt of copper and mineral resource containing approximately 3Moz of gold and 0.27Mt of copper will ultimately be forgone,” Newcrest added. The miner produced 619,606oz at Cadia in the 2017 financial year, when operations were also interrupted by an earthquake.